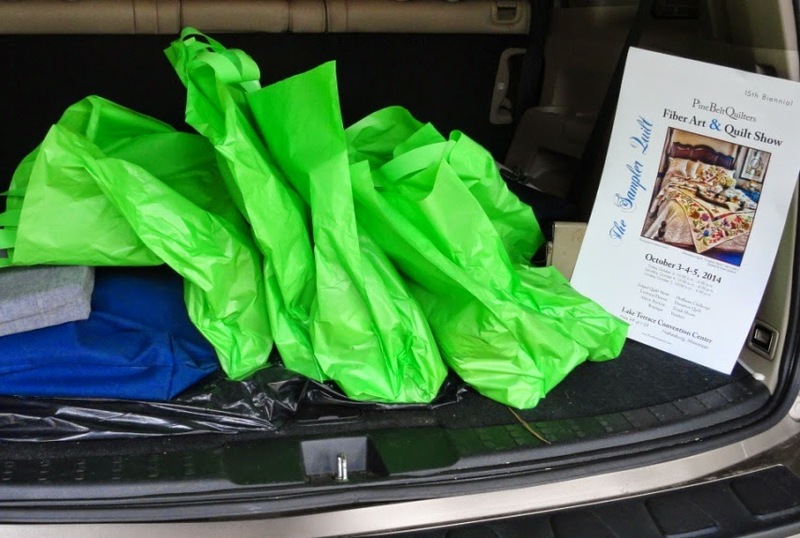 Quilt Show week is here and my car is loaded, ready for check in of quilts. The judge, Lorraine Covington, will begin judging this afternoon. All advance preparation has been done, but there is much work left to keep 340 quilts in their place, judged, and hung with ribbons awarded. 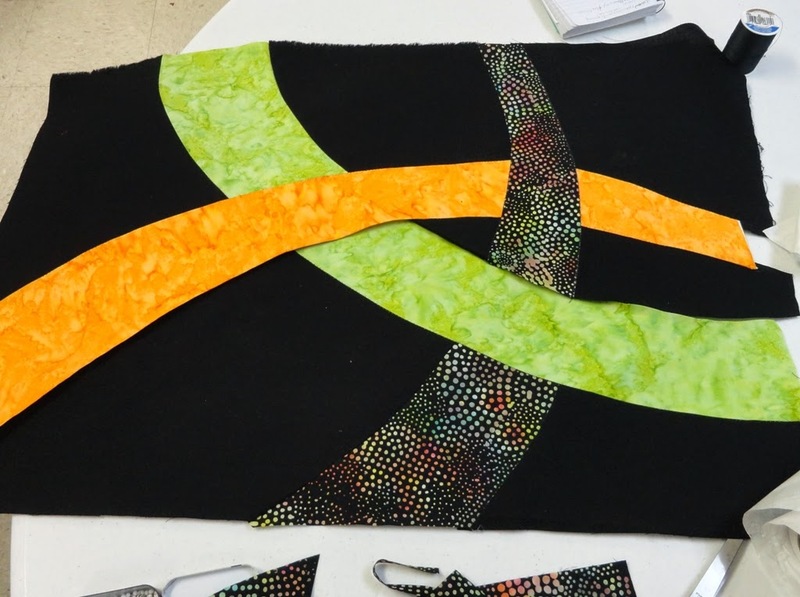 Gail Bachorik taught a class for Pine Belt Quilters a couple of years ago, and Florence Peyrifitte used Gail's kit to make this top. 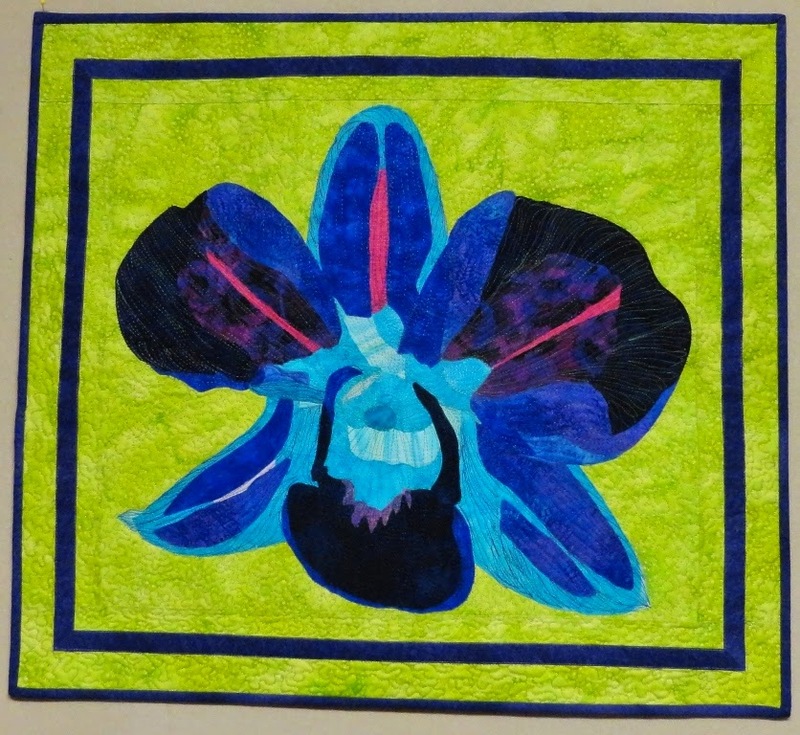 Gail drew the pattern from an orchid she had photographed. Florence handed her top off to me as a possible boutique or silent auction contribution if I would quilt it. 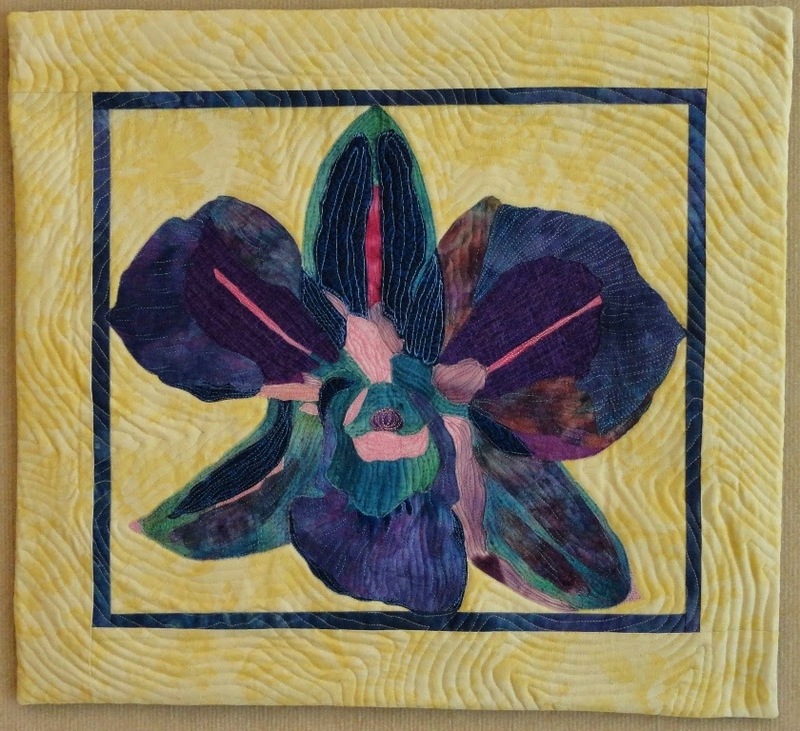 Since quilting is my favorite part of the process, I was glad to take it. Below is the piece I made in that class using my own fabrics. The fun part was making these pieces; the boring part is sewing on labels and sleeves. But it has to be done to finish the job. I usually locate a slat the right size and mark it with the quilt's name so it is ready to hang. But these are going into our Pine Belt Quilters show in a couple of weeks, so no slats needed yet. The piece I am donating to the silent auction is nearly ready, but I gave up finishing the binding until Rah-Rah was through with her bath. I'll need to use lots of painter's tape to remove all the cat hair. 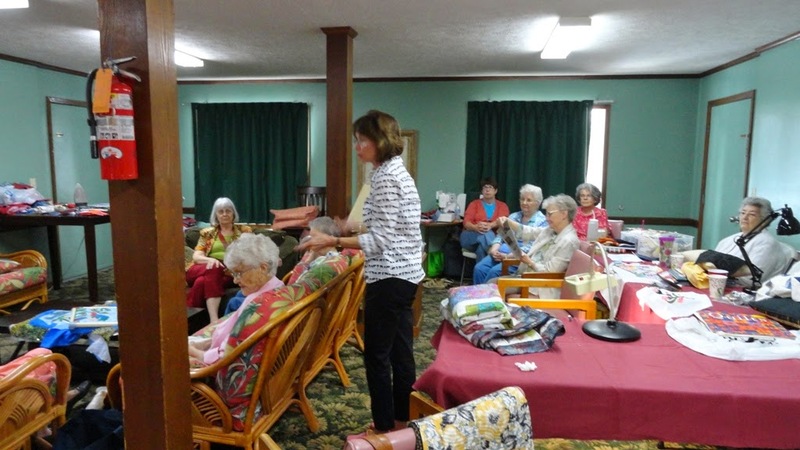 The Brookhaven (Mississippi) Piecemakers hosted a workshop this week where I taught a class called Pathways, a.k.a. Flying Geese. 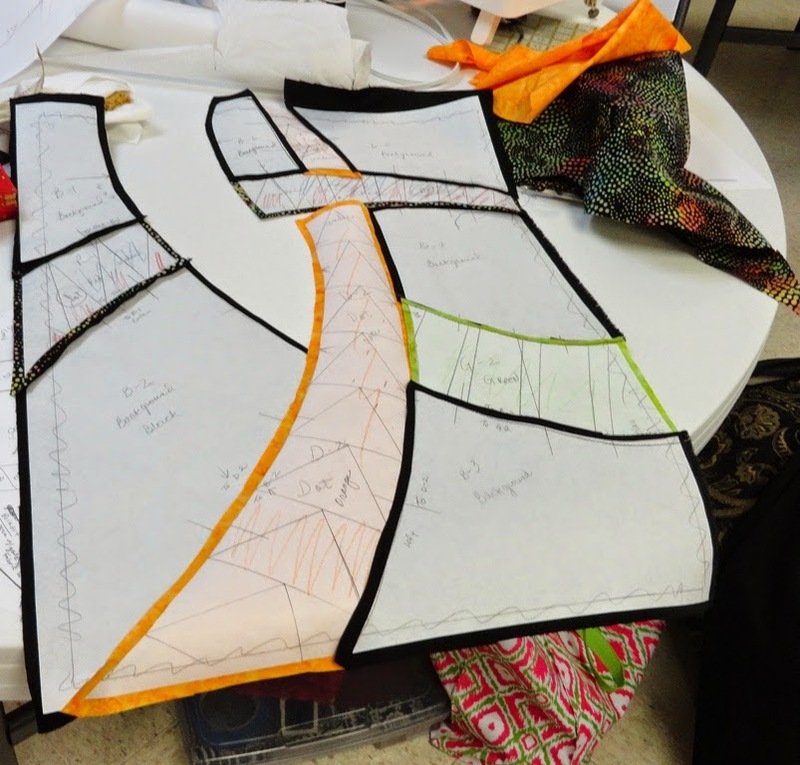 We worked with my patterns that featured three "pathways," utilizing Caryl Bryer Fallert-Gentry's Applipiecing construction technique. This is a method whereby curved seams can be joined by turning one seam allowance over and stitching it onto the adjoining seam allowance with a tiny zigzag stitch. 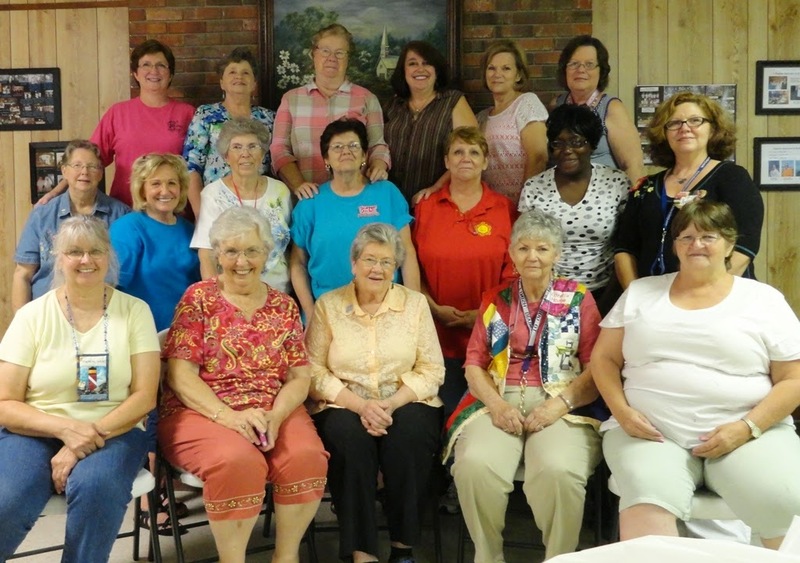 These quilters are excellent cooks and had an enticing spread out for lunch at the Bogue Chitto Baptist Church fellowship hall, a roomy place for our class. 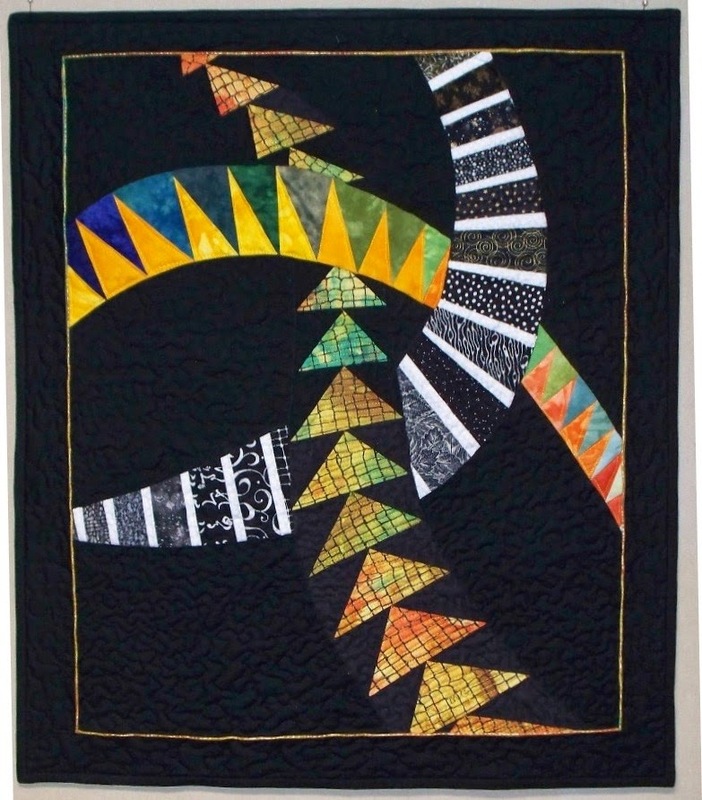 The class was based on my "Ribbons" piece that was donated in an auction several years ago (pictured below). 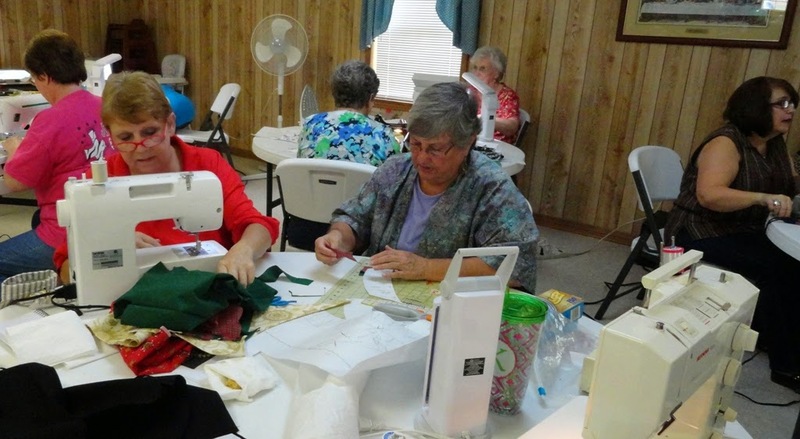 My friend Linda Flanders (center, above) helped me by circulating among the 17 quilters to assist where needed. 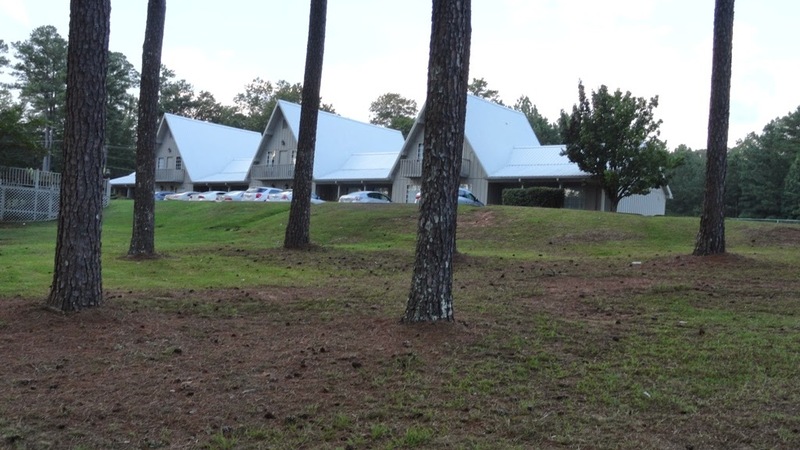 The patterns had blank pathways which the students could change into flying geese, large/small blocks (we called them piano keys), or spiky points. 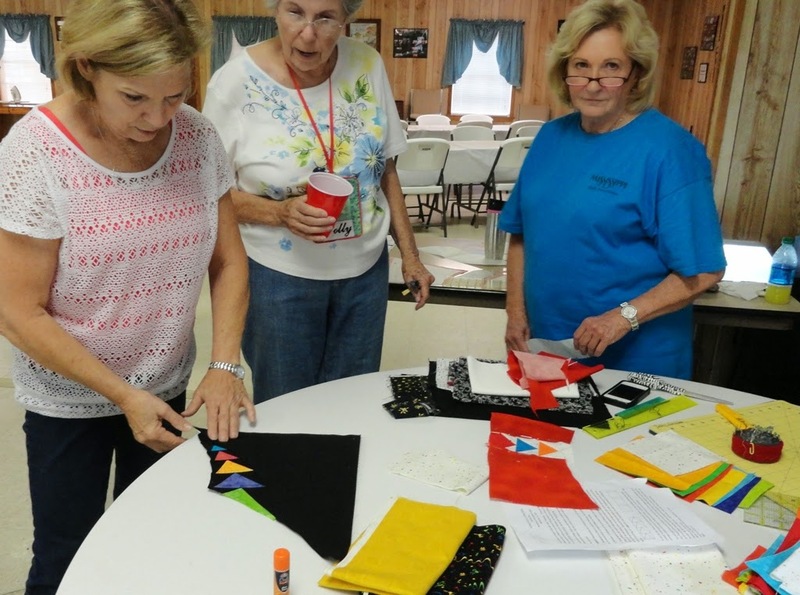 To get farther along in learning the Applipiecing method, I suggested that they could make pathways from solid fabric, which Kathy did. It was a busy and exciting day with lots of beautiful projects started. They promised to share pictures later. 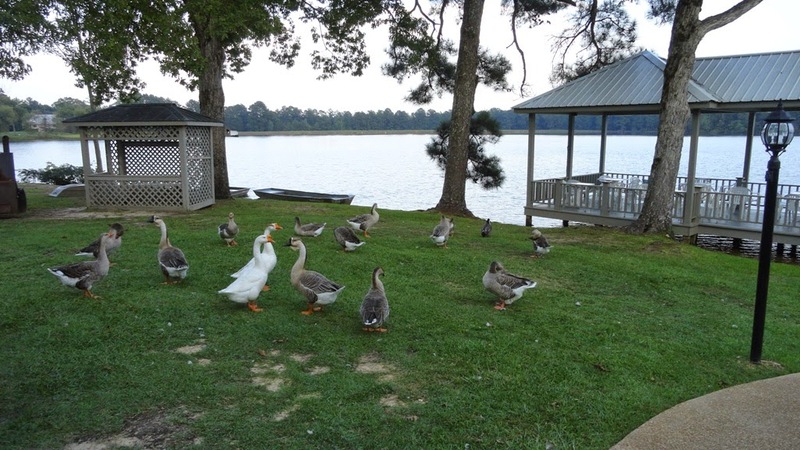 I just spent three delightful days at a quilters' retreat at a beautiful lake near Louisville, Mississippi. About 20 of us brought whatever projects we wanted to work on, some food to share, and enjoyed stitching and visiting. Some of us only see these people at this annual event. Of course, there was show-and-tell, and it was great to see the finished works that we had seen in progress at previous retreats. 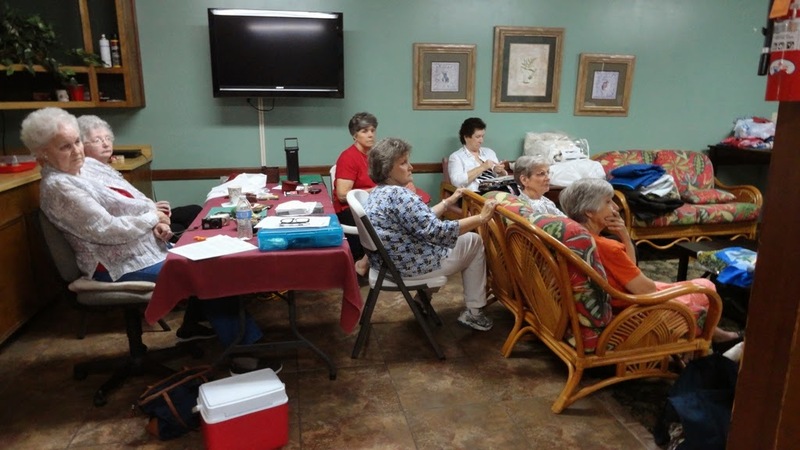 It is so much fun to spend some relaxing time with other quilters. 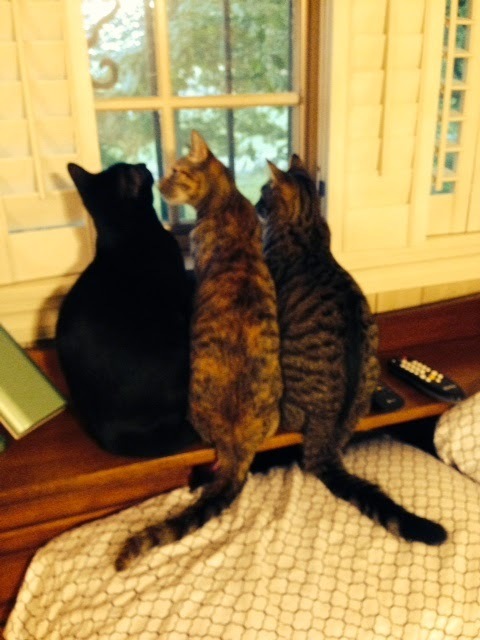 But my kitties missed me and are happy to have me back home. Water--how precious it is! How thankful I am to have clean, abundant, convenient water. We admire its beauty, stand in awe of its power, and delight in the feel of it on our skin. 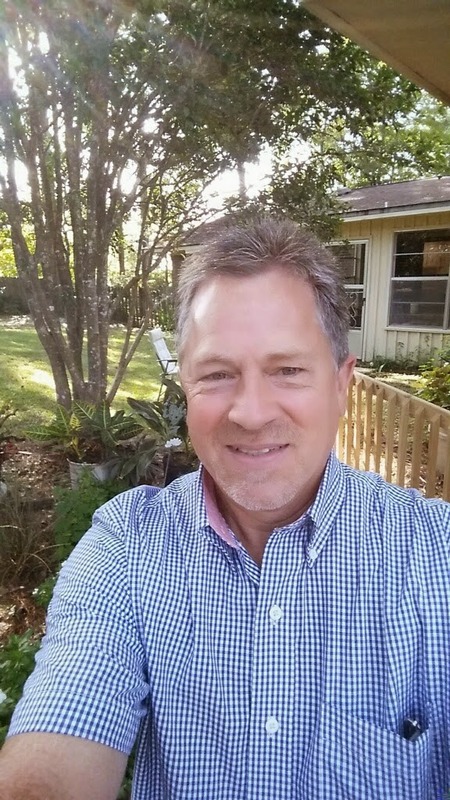 A friend invited/challenged me to post three positives a day for five days. My first thought was, "how can I limit it to just 15?" The next thought was, "what is the order of importance?--they are all most important!" This morning our pastor's sermon dealt with Noah, the flood, the rainbow and God's promises. We sang a (new-to-me) hymn, "In Water We Grow," words by Brian Wren, Hope Publishing Company, 1993. I liked many of the pictures the words conjured up. "In water we grow. . . ."
"In water we wash the dirt of each day, its trouble and rush are carried away. . . ."
"In water we dwell, for by its deep flow through bloodstream and cell, we live, think, and grow. 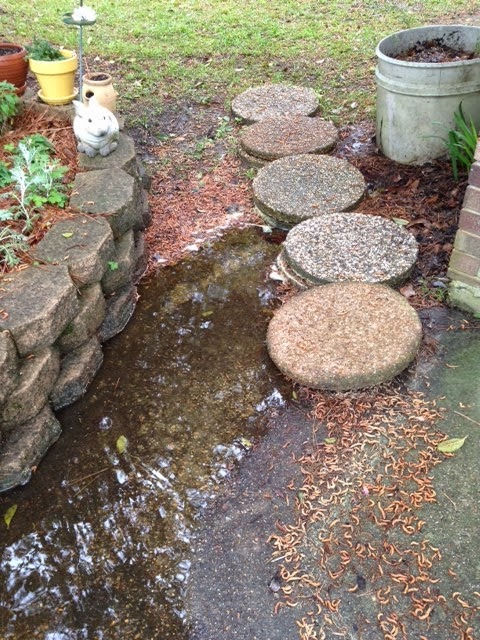 Praise God, love outflowing, whose well of new birth baptizes our knowing, and waters the earth." So my first list of positives has to include Water. 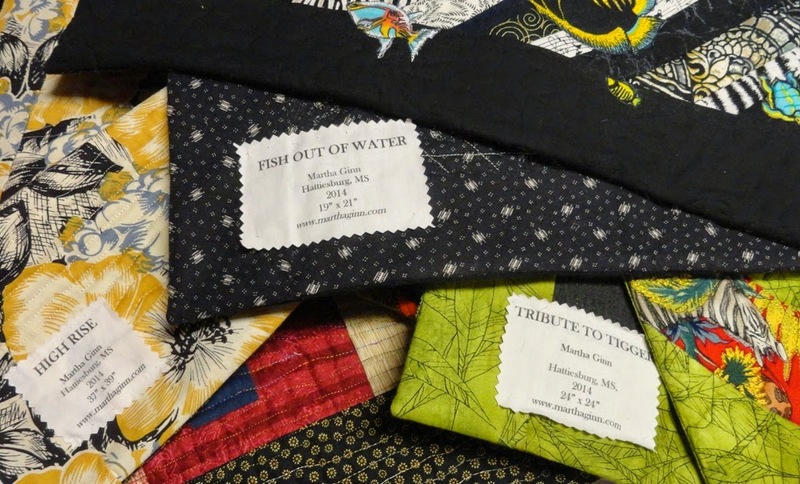 Several years ago I made quilts of the four elements--Earth, Air, Water, and Fire. Though a calm lake is what most often comes to mind when we think of water, a wild sea was more exciting to interpret in fabric. Later I depicted the Pacific Northwest coastline from a picture I had taken while visiting in Washington state. 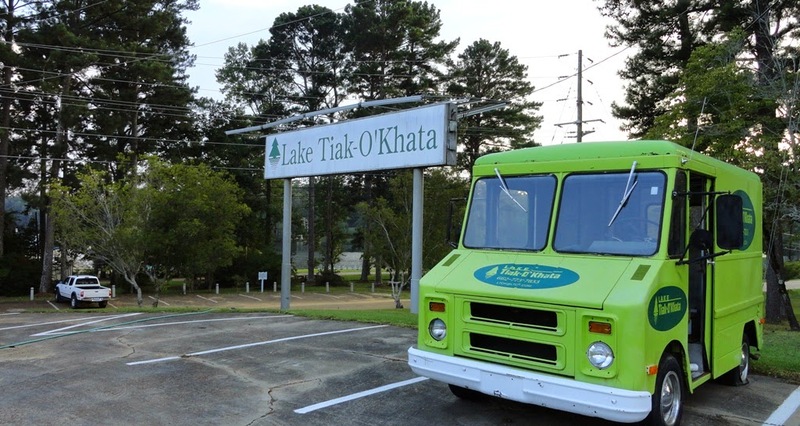 The quilts don't do justice to the sight and sound, but they can call up memories for us. 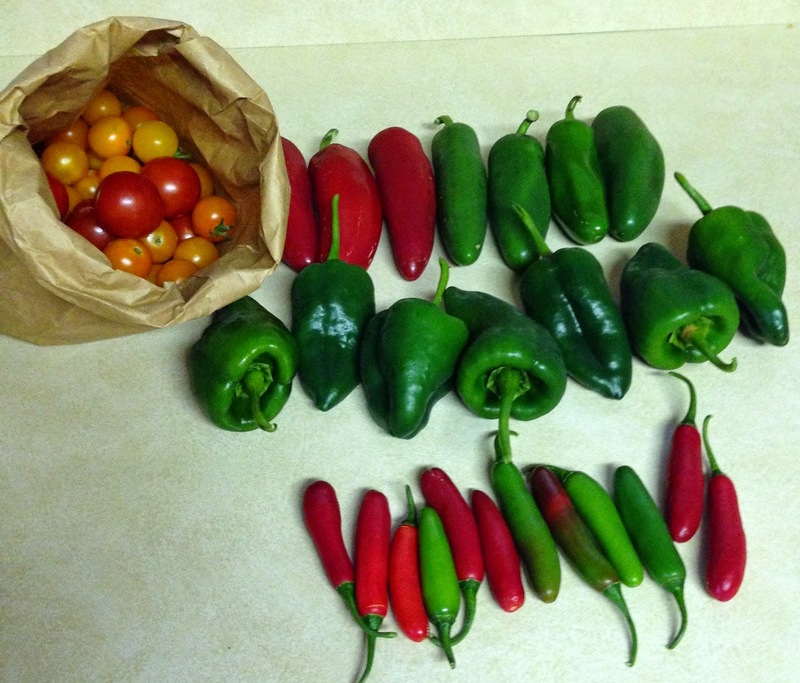 It's been great having fresh tomatoes from my yard and peppers from my friends. There is nothing quite so good as a bacon and tomato sandwich, and these little cherry tomatoes work just fine even though they're challenging to keep on the sandwich. 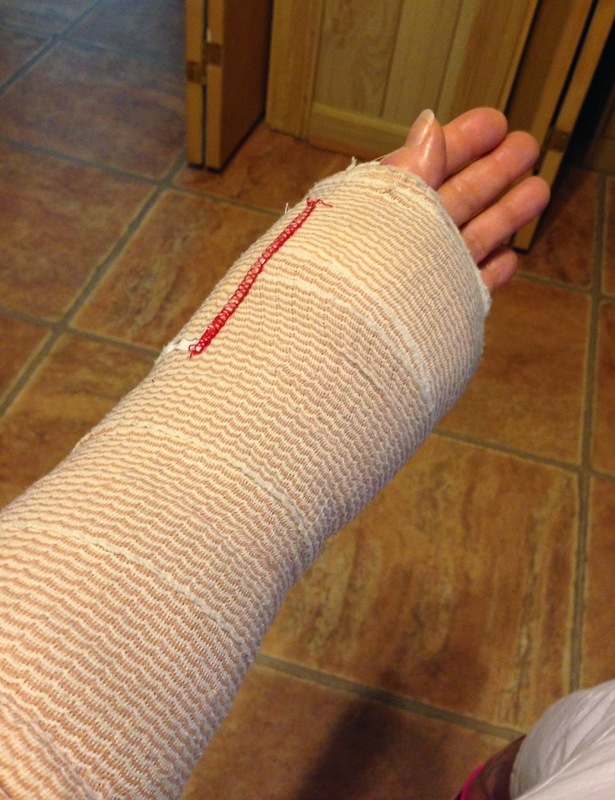 Having my wrist in a splint for 10 days really stopped any sewing and quilting activities. I can type with one hand, but that other hand is essential for any needlework activities. I missed sewing! 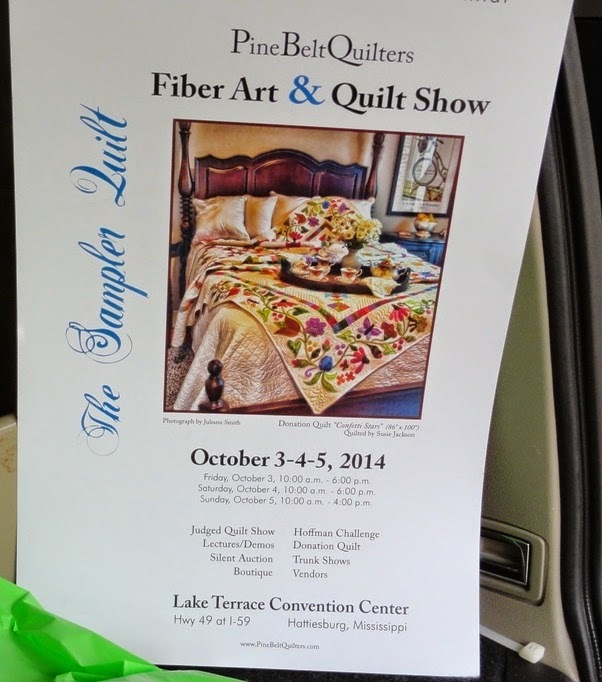 So now it's time to finish up my entries for our Pine Belt Quilters 15th Biennial Fiber Art & Quilt Show. Our three-day show is October 3-4-5, which is barely a month away. Entry deadline has passed, so we're on the home stretch. 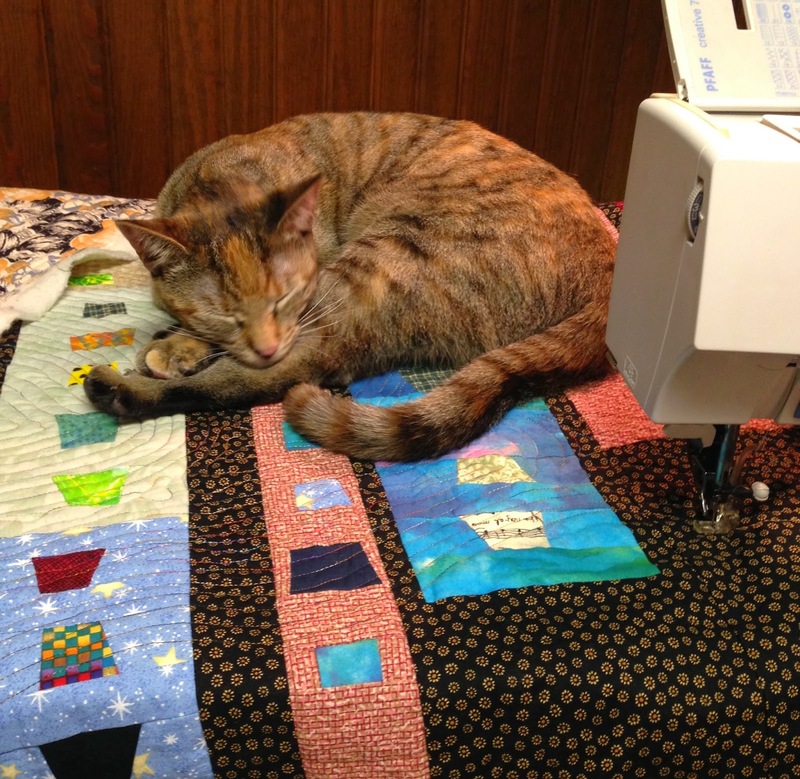 I had to keep removing Rah-Rah from this quilt as I did the last of the machine quilting. Now it just needs the facing, sleeve, and label--good TV watching activity. Labor Day Weekend was a nice surprise for daughter Linda and me. Son Mark called saying he was driving over from Dallas. We always have a list of odd jobs he helps us with when he comes. My list was empty, so he took care of her split fig tree and a security light. 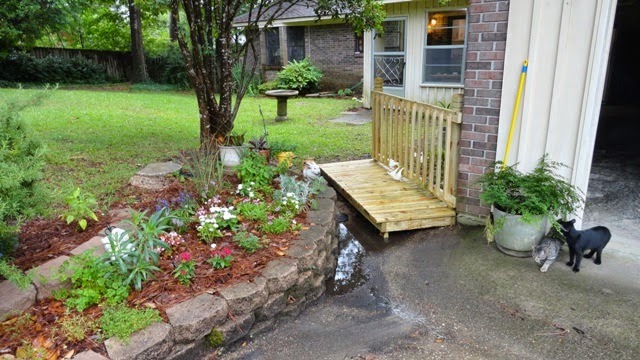 On his previous trip he solved a drainage problem for me by building a little bridge from my driveway to the back yard over a low spot containing a French drain. On this trip he took a selfie in front of the bridge.